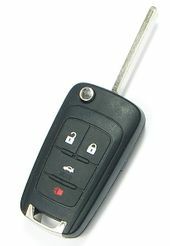 Purchase your next BUICK VERANO keyless entry remote keys from CarAndTruckRemotes.com. Save up to 75% off dealership prices on key fobs for Buick Verano! Lost or broken keyless start-stop engine starter key fob or chipped transponder key for your Buick? 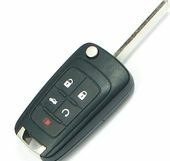 We offer the same original car key fobs, proxy (smart keys) controls. Those parts key fobs can be replaced at a fraction of a dealership cost and you program it yourself. Keyless entry controls have become standard equipment on almost every new vehicle. All Buick Verano comes standard keyless system.